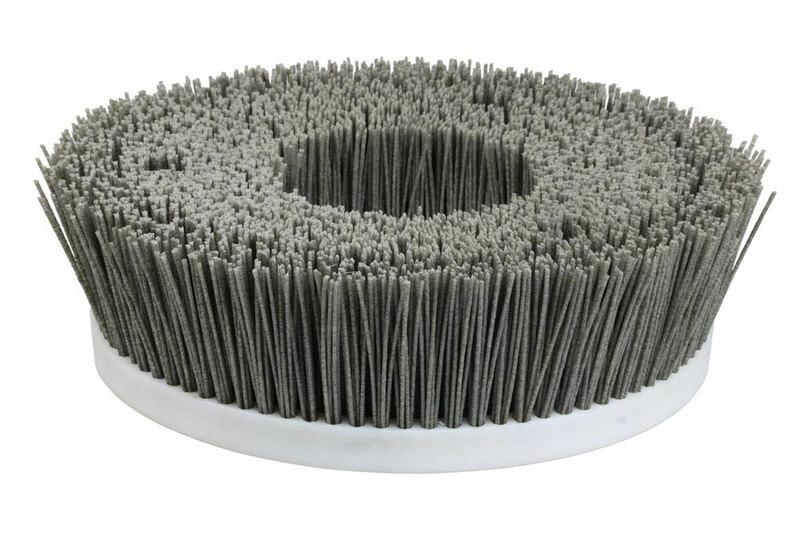 Since 2002, we have been able to fit all types of brushes with abrasive admixture – Abralon. Abralon is a polyamide-based material with a blend of grains of silicon carbide or diamond with different grain sizes. With its features, this material successfully replaced a significant part of brushes fitted with wires. In the stock, we offer K46-500 silicon carbide grain. With abrasive material, we have many years of experience based on cooperation and experience of our customers. better life and quality of pro-cessing/machining. 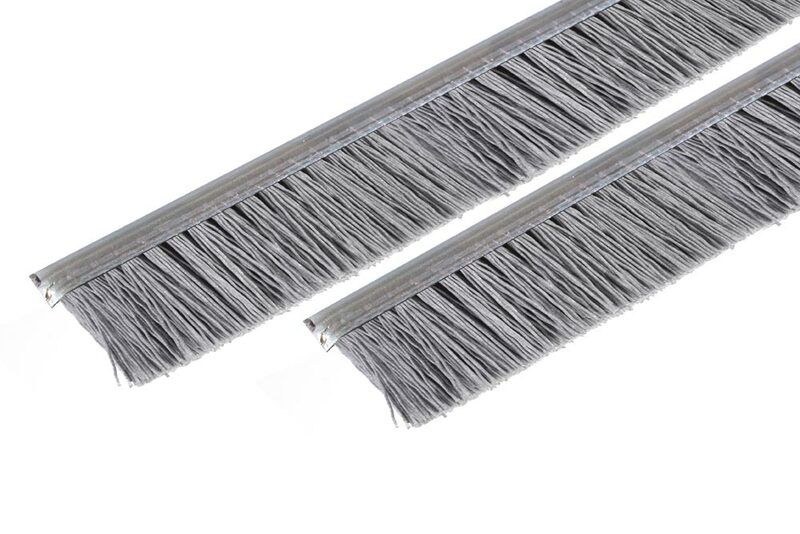 Roller brushes – the wire was replaced by abrasive fiber. The plastic fiber is more adaptable to the grinded surface and does not break like wires. This ensures a longer service life when using the brush correctly. 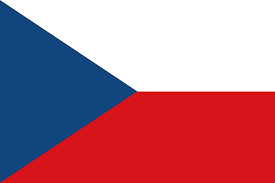 Based on the experience of our customers, it is obvious, that a smaller pressure and speed is sufficient. We guarantee brushes used at 3000rpm. 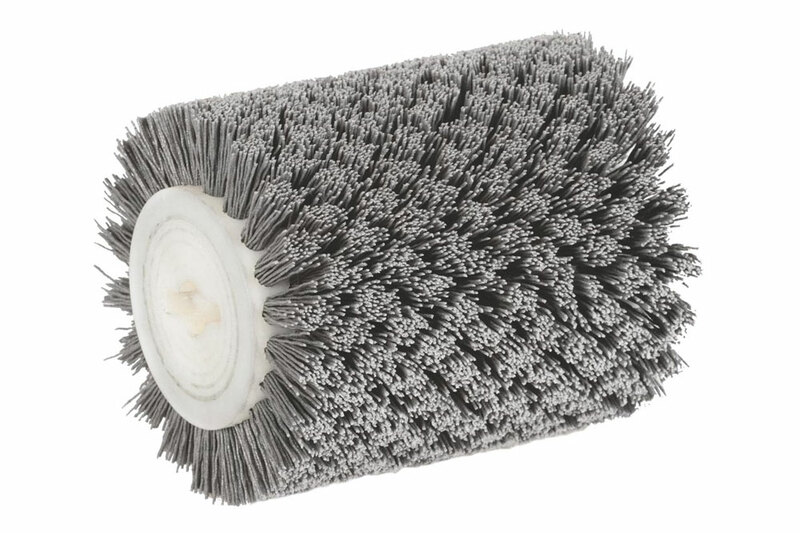 Roller brushes can be offered as – Rotary roller brushes or as External spiral brushes. Surfaces treated with roller brushes are ready to further processing, for example, oiling, varnishing, staining. 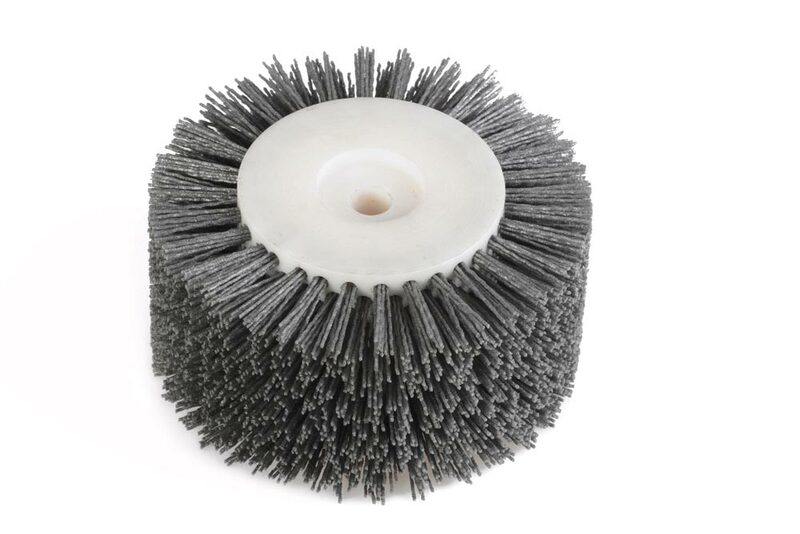 Disc brushes – can be clamped into both manual and automatic machines. They are most often used for deburring, cleaning of flat joints, removing burrs and product cleaning after surface treatment. 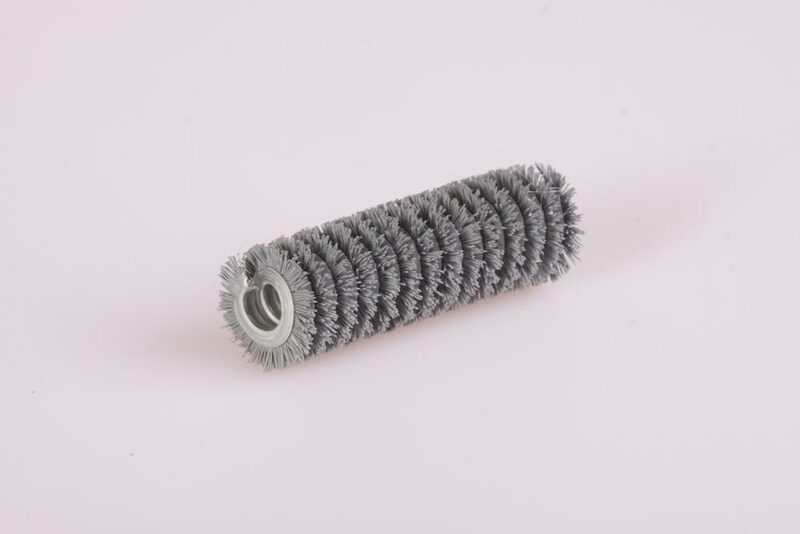 Twisted brushes – fitting with an abrasive fiber ensures removal of metal burrs created after drilling or punching holes. 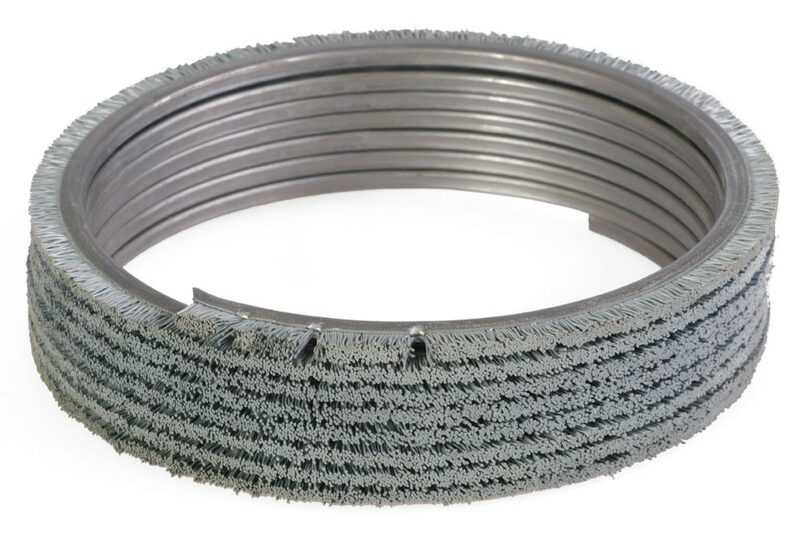 Based on customer requirements, the abrasive material can be also fitted to brush laths, brush heads, brush sealing strips and external spiral brushes. 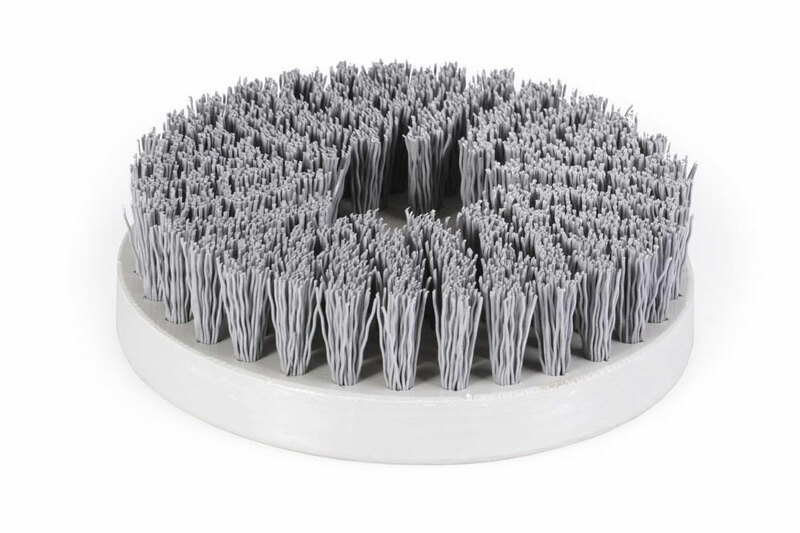 Lath brushes – These are specially shaped plastic blanks to help clamp the brushes. Thanks to these shapes, brushes are simply clamped to holders prepared on CNC machines and are used to help to grind, for example, stone, steel or wood workpieces.